This book is arranged in the form of a journey around Orkney that begins and ends with what approaching (and departing) travellers see from the Scrabster to Stromness ferry. 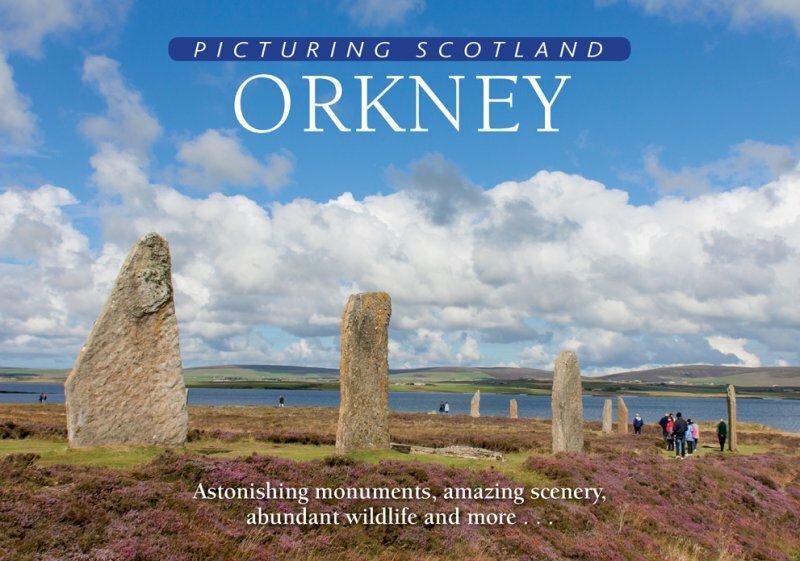 As Stromness is situated on the western edge of Orkney's Mainland, it is a good point from which to begin a broadly circular tour which takes in most of the 17 inhabited islands. There is an astonishing density of ancient sites from the Neolithic, Bronze and Iron Ages, coastal scenery that tests the credulity in its often gravity-defying qualities and pastoral vistas that sooth the senses. If those attributes were not enough, add in a charming capital with magnificent cathedral, a wealth of wildlife that will entrance nature lovers and a huge array of defensive remnants from both world wars. The book contains 110 pictures.